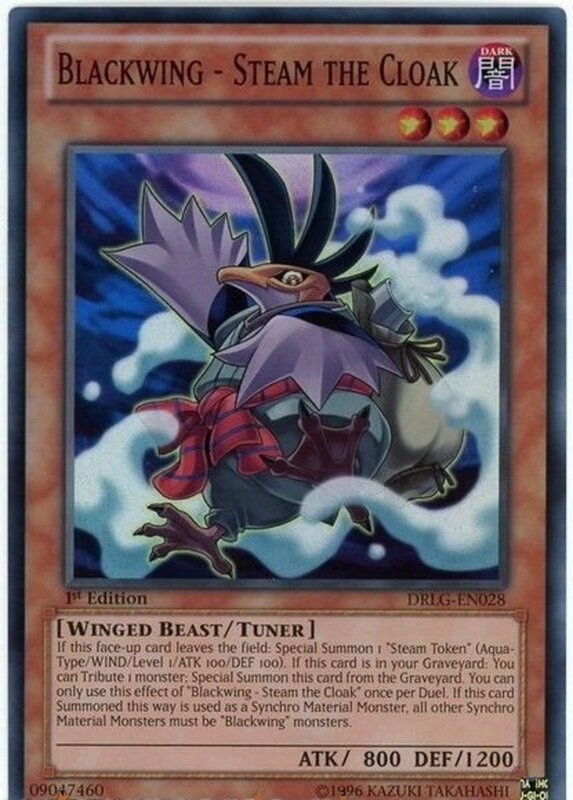 The Blackwings were initially a poor set of monsters who arrived with limited support, but Konami quickly boosted their ranks in future expansions, leading them to become a top-tier meta deck for several years. Blackwings are generally dark-attributed, winged beast-typed units who focus on swarming and summoning their powerful synchro boss monsters. 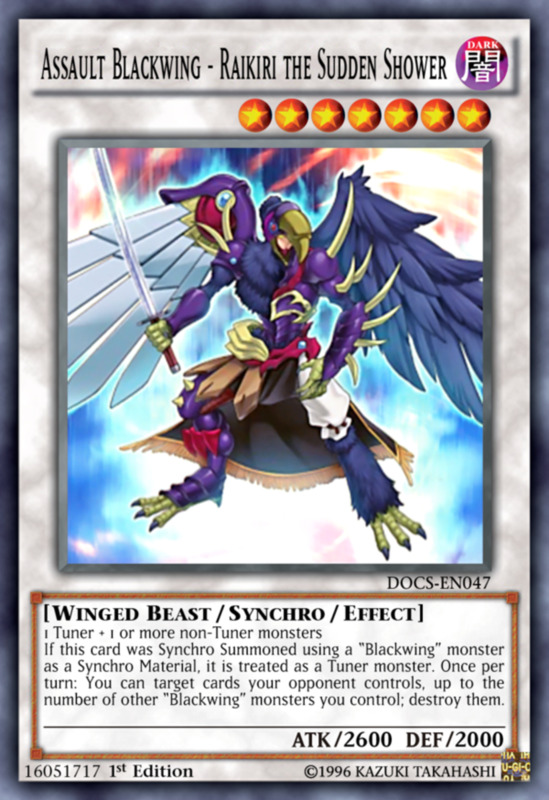 Admittedly, Blackwings now need link monsters if they want to field multiple synchros, but they're still an engaging series who shouldn't be underestimated. Still, with dozens of powerful crows available, which ravens reign supreme? 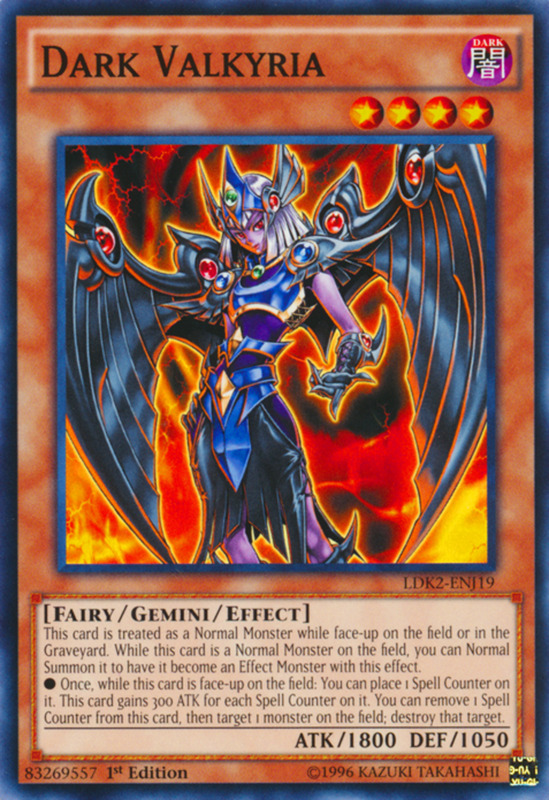 These are the ten best Blackwing cards in Yu-Gi-Oh! 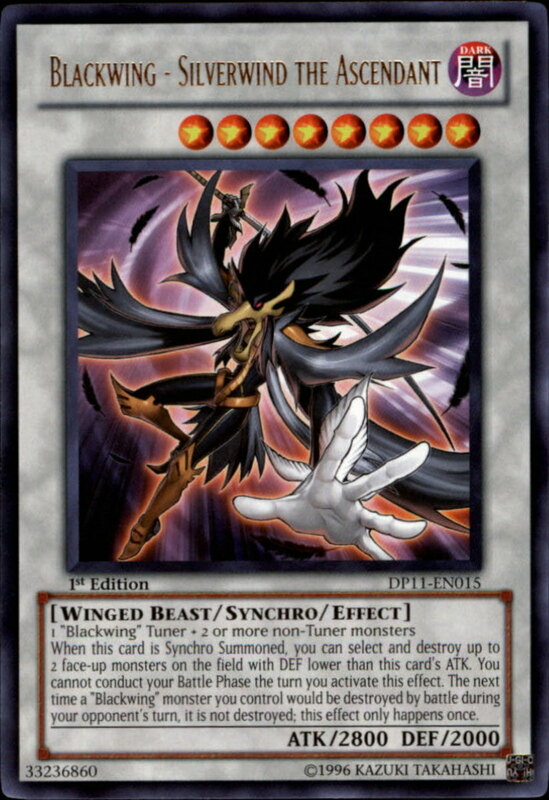 Cool thing about many Blackwing synchro monsters, like Nothung the Starlight, is that they accept any tuner/non-tuner combination, meaning you can blend non-archetype members into your deck. Starlight arrives with a respectable 2400 ATK, and when summoned, he inflicts 800 damage to your opponent, then permanently weakens an opposing monster by 800 ATK and DEF. This powerful entrance trigger resolves even if Starlight is immediately destroyed with a trap card, but do your best to keep him alive. 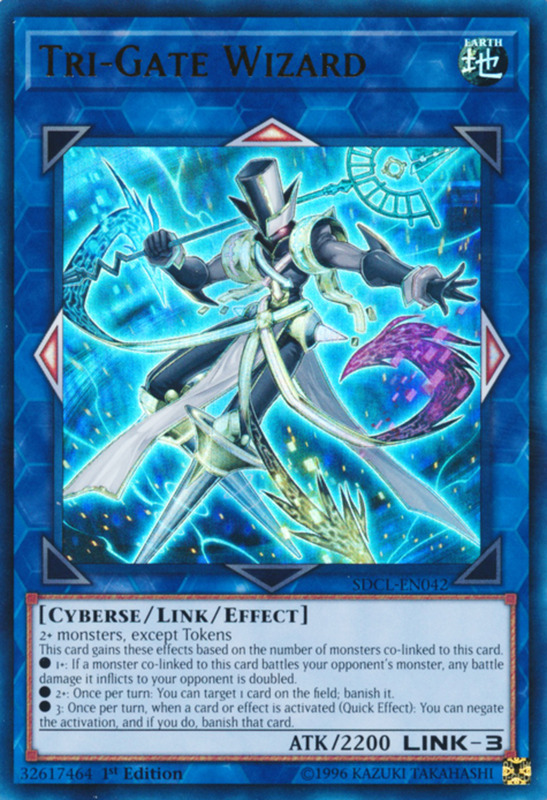 After all, he grants you an extra normal summon/set of a Blackwing monster each turn, helping ensure you can always field enough monsters for your synchro, xyz, and link summons. Level eight Silverwind is more demanding with his materials, requiring you use both a Blackwing tuner and at least two non-tuners, but he arrives with an excellent 2800 ATK. Even better, when syncho summoned, he destroys up to two opposing monsters with DEF less than Silverwind's ATK. 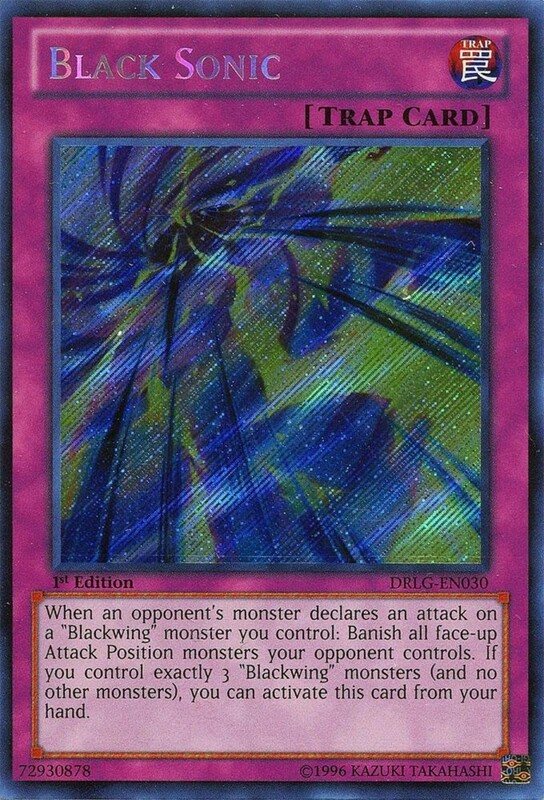 Very few monsters will have a DEF of at least 2800, so this can remove nearly anything except link monsters (who don't have defense scores), but keep in mind you can't perform your battle phase the turn you activate this effect. In addition, Silverwind prevents the first battle destruction of a Blackwing you control during each of your opponent's battle phases, an excellent shield for his weaker comrades. Auster can't be special summoned, but since he's just level four, you can easily normal summon him without tribute. 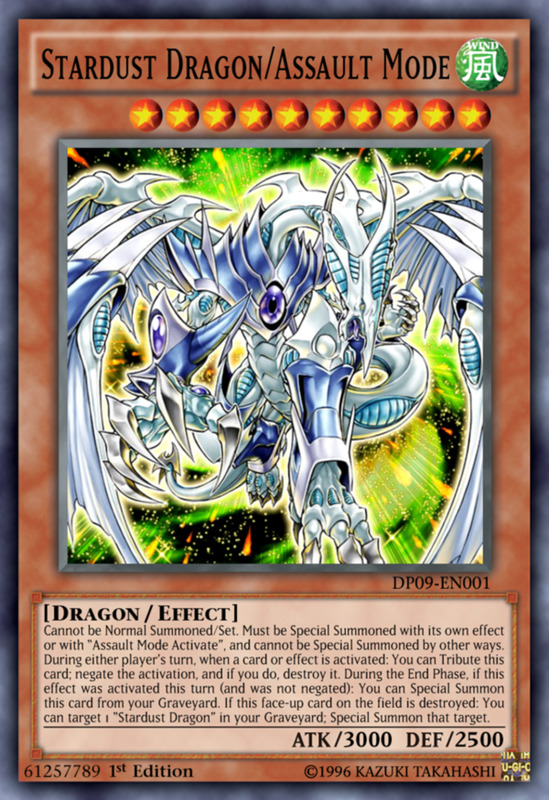 When normal summoned, you can special summon one of your banished level four or lower Blackwing monsters in defense position. Unlike several revivals, this keeps your unit's effects intact, and it's an excellent way to recover exiled units. 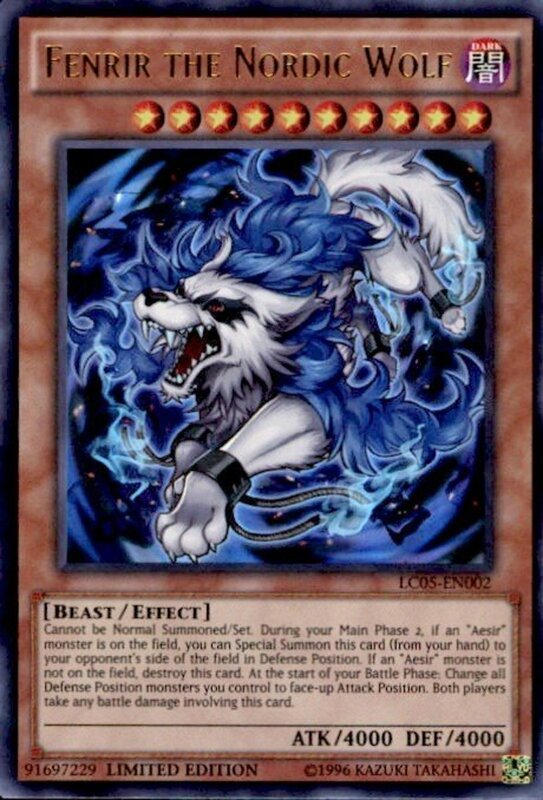 Plus, since Auster is a tuner, you'll now have fodder for an extra deck summon. As icing on the cake, you can banish Austere from your graveyard to either place black feather counters on a "Black-Winged Dragon" you control equal to the number of your opponent's fielded cards, or place wedge counters on all opposing monsters who don't have one. These counters are useful for certain synchro monster abilities, letting Auster empower your aces with his last breath. Chidori wields a fierce 2600 ATK, accepts any tuner/non-tuner blend, and when summoned using a Blacking as material, he himself is treated as a tuner, letting you summon even stronger Blackwing synchros if you wish. He also gains 300 ATK for each Blackwing in your graveyard, quickly propelling his already-strong ATK to monstrous heights. Finally, when Chidori is destroyed and sent to your graveyard, you can revive a different winged beast-type monster, ensuring you're not left empty-handed—just watch out for banishing and return-to-hand removals, which won't trigger the effect. Like Auster, Blizzard can't be special summoned, but his low level allows an easy standard arrival. 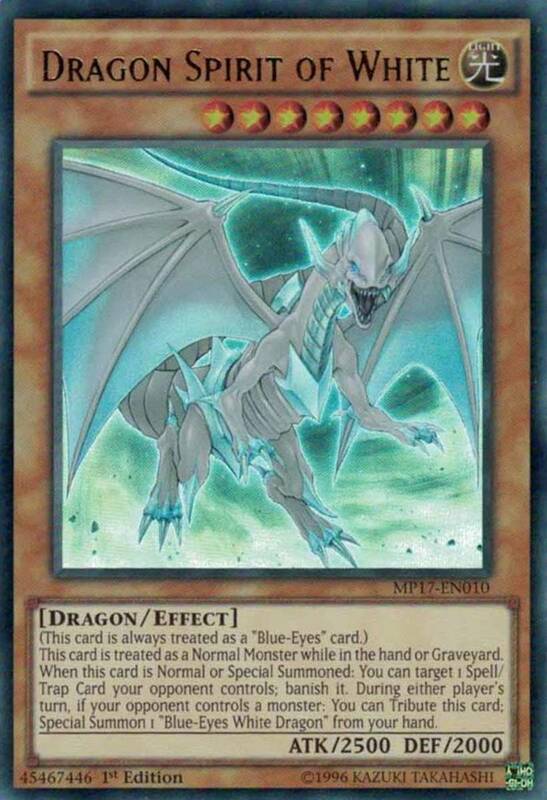 Additionally, when normal summoned, he lets you revive a level four or lower Blackwing from your graveyard in defense position. This handy rejuvenation keeps both your monster's effects/stats intact and allows easy synchro summons considers Blizzard's tuner status. Kalut serves as an excellent hand trap similar to the infamous "Honest" card. 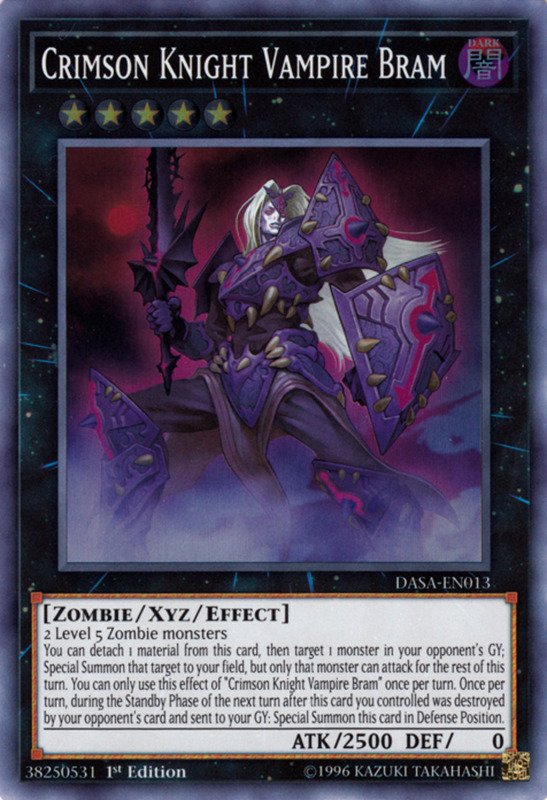 During either player's battle phase, when a Blackwing you control is entering damage calculation, you can send Kalut from your hand to the graveyard to increase your monster's ATK by 1400 for the turn. 1400 extra power should be more than enough to conquer most foes, letting you use your opponent's own attacks against them. This also places Kalut into your graveyard, ensuring cards like Blizzard have troops to revive. 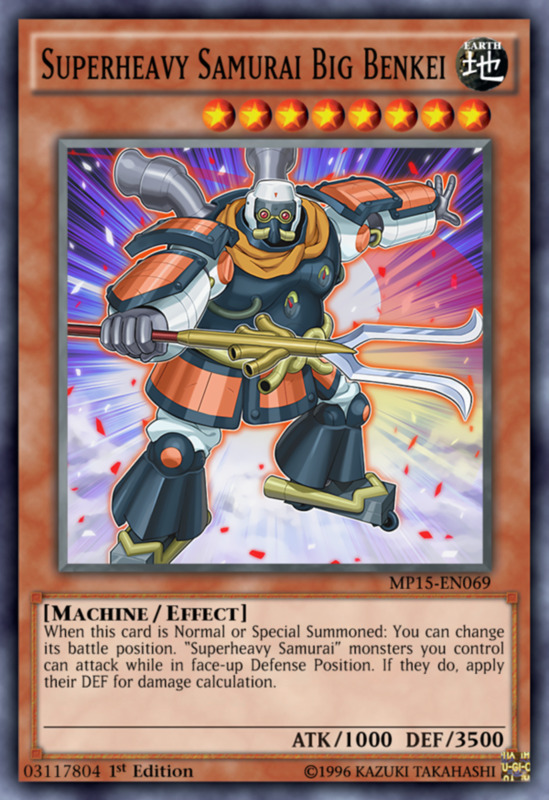 Steam the Cloak is limited in the Asian OCG, but not the American TCG, so take advantage of his stateside deck opportunities. He's a tuner, and whenever he leaves the field, you get to summon a level one steam token monster. Note this helpfully activates with all field exits—even being banished or returned to hand—and provides you with a handy tool to up the level of your next synchro summon by one. Once per duel, you can also tribute a monster to revive Steam from your graveyard. For a handy once-per-game combo, sacrifice Steam's token to revive himself, tune him with another monster, then use your next steam token however you like (perhaps as link material). 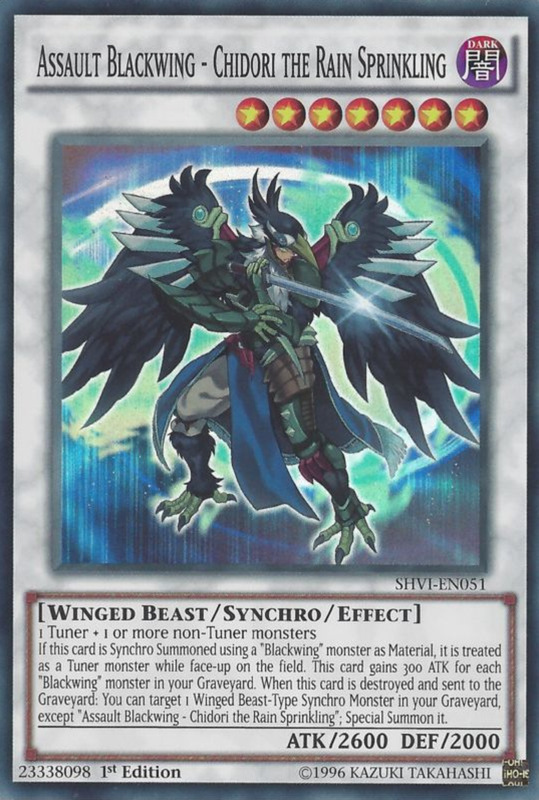 However, note that when you revive Steam with this effect and use him for a synchro summon, all materials have to be Blackwings, a small restriction on his fierce powers. The Blackwings offer several powerful level seven synchros, with Rakiri being one of their best. He takes any tuners and non-tuners regardless of affiliation, is treated as a tuner if summoned using a Blackwing, and joins the fray with a hearty 2600 ATK. More than that, Raikiri can (once per turn) target and destroy opposing cards up to the number of other Blackwings you control, a powerful removal that eliminates multiple cards of any type (monster, spell, or trap). The "up to" wording is also handy, ensuring you can utilize the ability even if you control more Blackwings than your opponent does cards. 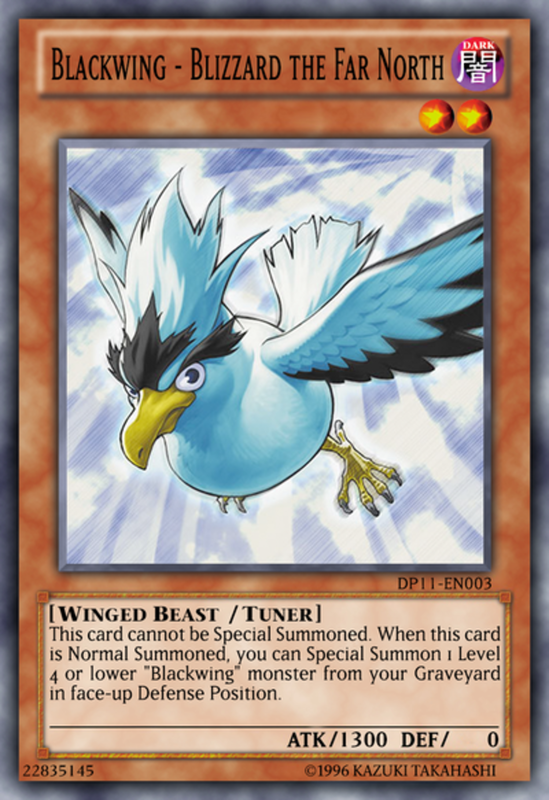 While you control a different Blackwing, you can special summon this avian tunder from your hand, offering easy extra deck access while letting another unit use your turn's normal summon. 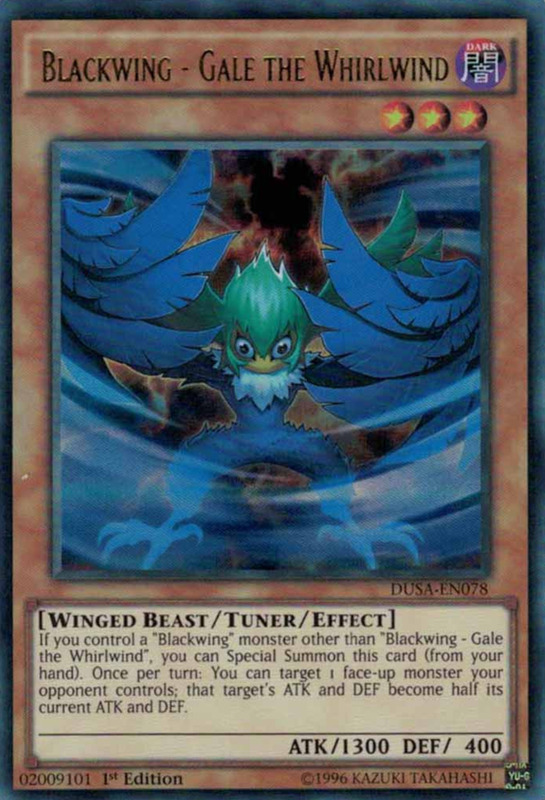 Then, Gale may (once per turn) halve the ATK and DEF of an opposing face-up monster. 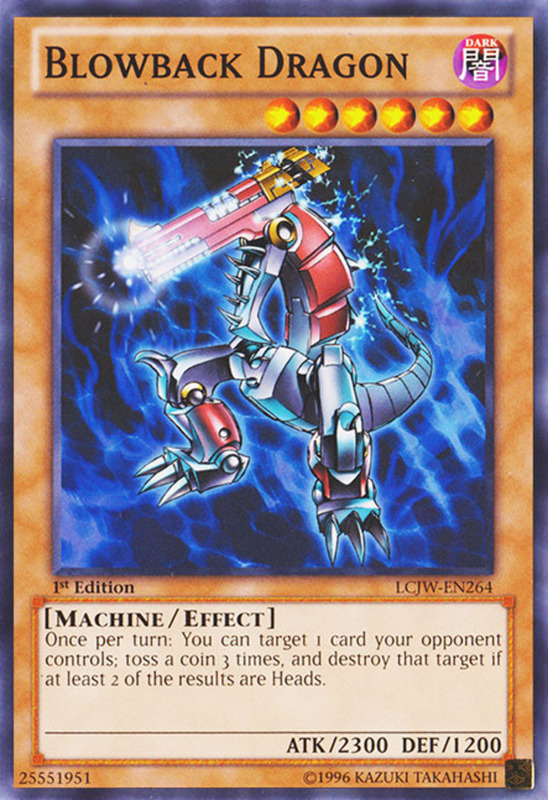 This brutal reduction affects both battle stats, is permanent, and can be continuously activated each round, so if you have defenses like "Swords of Revealing Light" or "Mirror Force" ready, you may actually wish to prolong Gale's synchro summon access to consecutively activate his own ability. 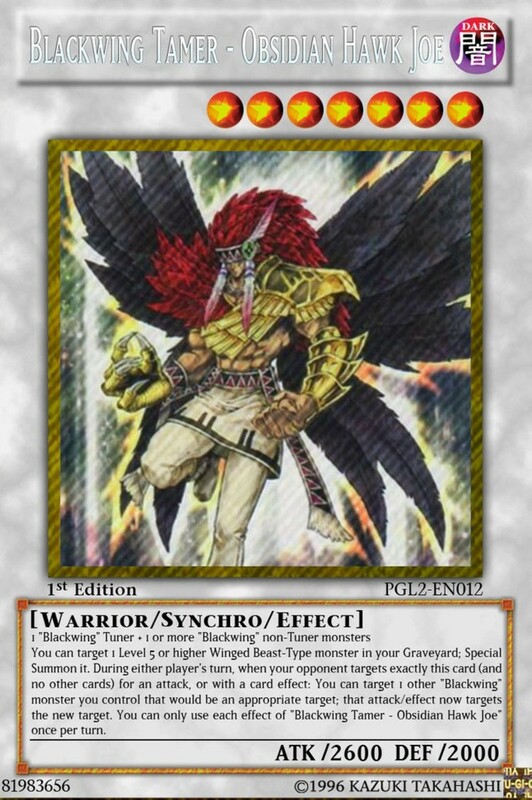 Unlike nearly every other Blackwing, Hawk Joe (now there's a name) is warrior-type, not winged beast, something to remember if you're running cards like "Solidarity". He accepts any Blackwing tuner/non-tuner blends and offers unlimited revivals of level five or higher winged beasts from your graveyard! That's right, it's not just once per turn, but as much as you like, and it even works on non-Blackwing winged beasts. 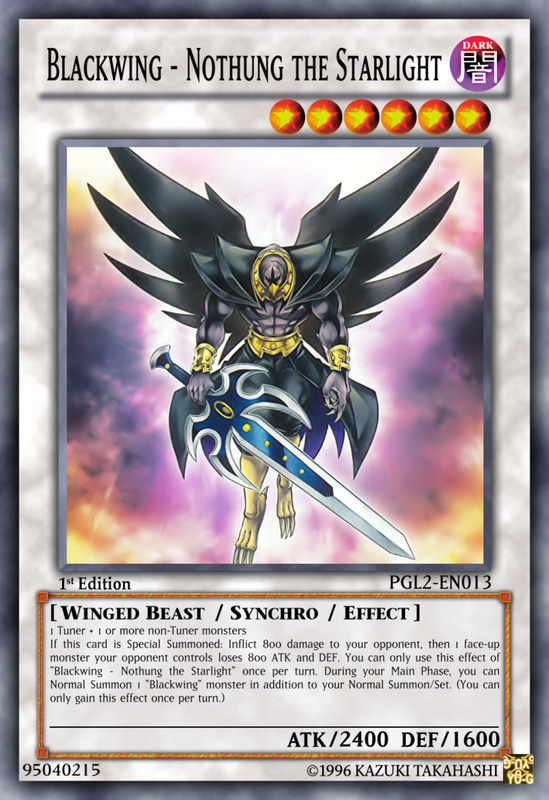 This combos well with Hawk's next effect, letting him redirect opposing attacks or effects that only target him towards a different Blackwing you control that would be a valid target. Use this to shift removals towards your high-level Blackwings, then revive them with Hawk's effect. Hawk is a constant member of my own Blackwing deck; fortunately, despite his power and rarity, he costs well under three dollars! While the official Blackwing traps are pretty disappointing, several of their non-members (they don't technically carry the Blackwing name) supports are definitely worth your time. 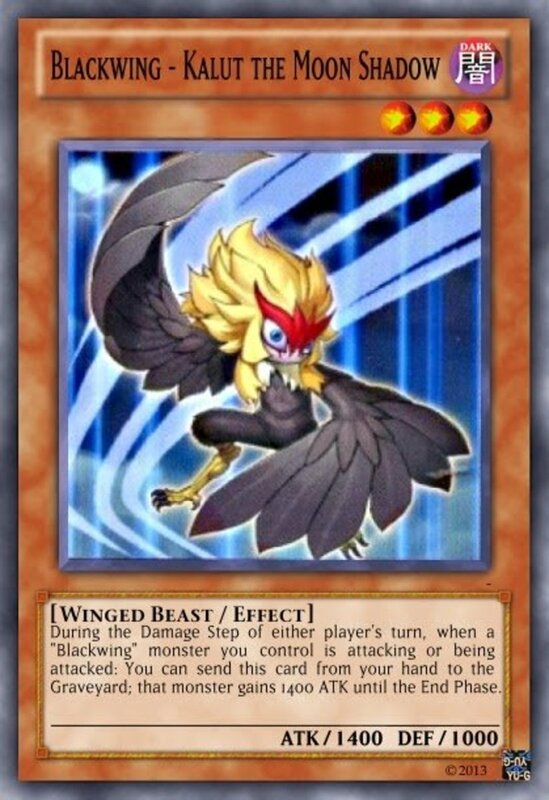 Favorites include trap "Delta Crow - Anti Reverse", which can destroy all opposing face-down spells/traps and potentially be activated from the hand, continuous spell "Black Whirlwind", which lets you add weaker Blackwings from deck to hand when you normal summon, and trap "Black Sonic", which banishes opposing face-up monsters when one attacks your Blackwing. 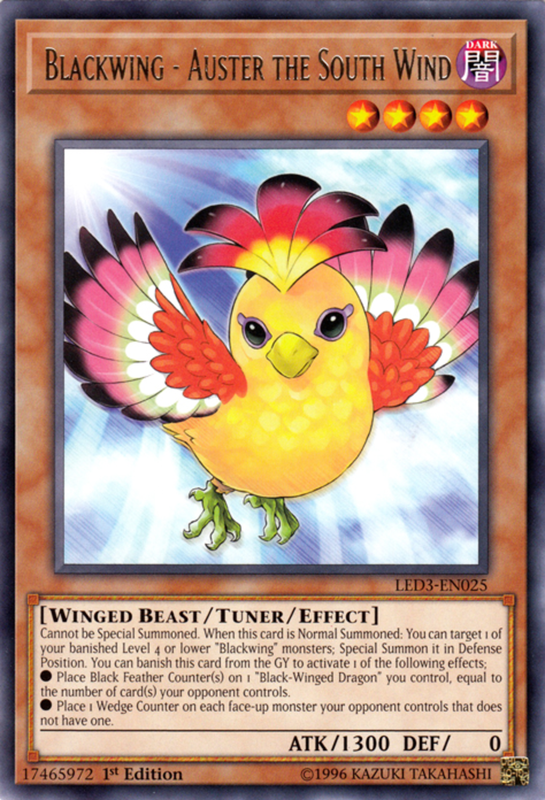 Blackwings prove that once-terrible archetypes can become powerful with the right upgrades, and Konami did an excellent job boosting these birdbrains into a formidable structure. But for now, as we eagerly await the next expansion of Blackwings, vote for your favorite monster and I'll see you at our next Yu-Gi-Oh countdown!